A rogue virus that kills pregnant women has been let loose in the world, and nothing less than the survival of the human race is at stake. Some blame the scientists, others see the hand of God, and still others claim that human arrogance and destructiveness are reaping the punishment they deserve. Jessie Lamb is an ordinary sixteen-year-old girl living in extraordinary times. As her world collapses, her idealism and courage drive her toward the ultimate act of heroism. She wants her life to make a difference. But is Jessie heroic? Or is she, as her scientist father fears, impressionable, innocent, and incapable of understanding where her actions will lead? 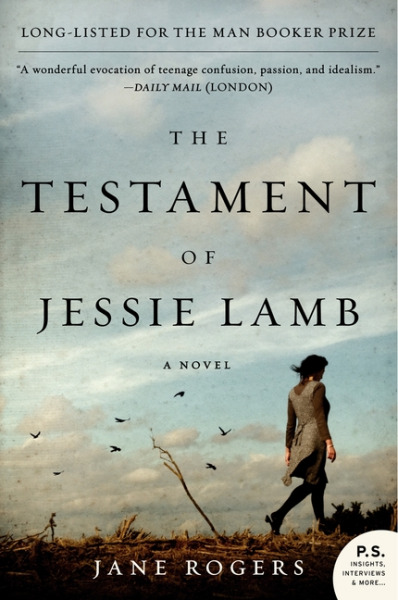 Set in a world irreparably altered by an act of biological terrorism, The Testament of Jessie Lamb explores a young woman’s struggle to become independent of her parents. As the certainties of her childhood are ripped apart, Jessie begins to question her parents’ attitudes, their behavior, and the very world they have bequeathed her. Jane Rogers has written eight novels, including Her Living Image (winner of the Somerset Maugham Award), Mr. Wroe’s Virgins (a Guardian Fiction Prize runner-up), Promised Lands (winner of the Writers’ Guild Award for Best Fiction Book), Island (longlisted for the Orange Prize) and The Voyage Home. She has written drama for radio and TV, including an award-winning adaptation of Mr. Wroe’s Virgins for BBC2. She has taught writing at the University of Adelaide, at Paris Sorbonne IV and on a radio-writing project in eastern Uganda. She is professor of writing at Sheffield Hallam University and is a Fellow of the Royal Society of Literature. Jane lives on the edge of the moors in Lancashire, England.